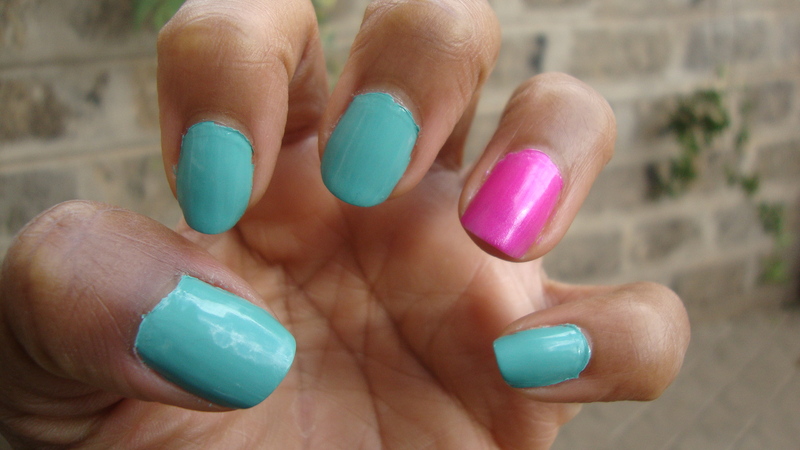 I have a couple of manicure ideas that I can’t wait to share with you guys very soon! My nails above 🙂 I used Luron for both colours. or the purple shimmer and chocolate brown by Sleek. Nice, huh? 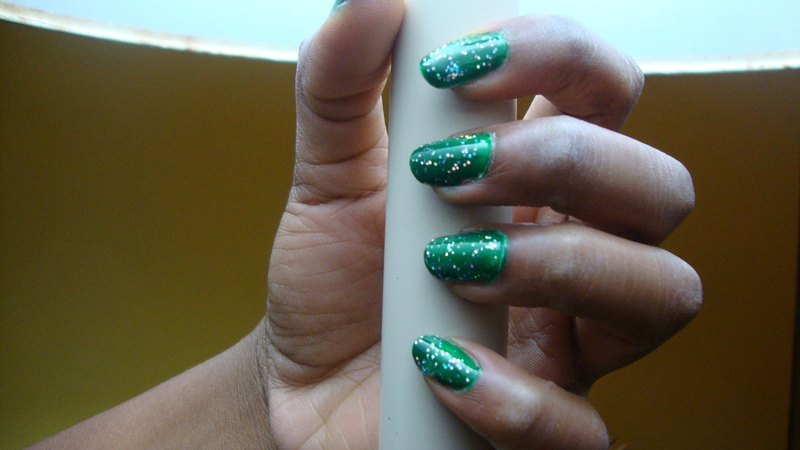 My nails :-). I used a brand called in2it, it was a gift from my sis Angie. The flavour is yumgum. And it smells yummy too! 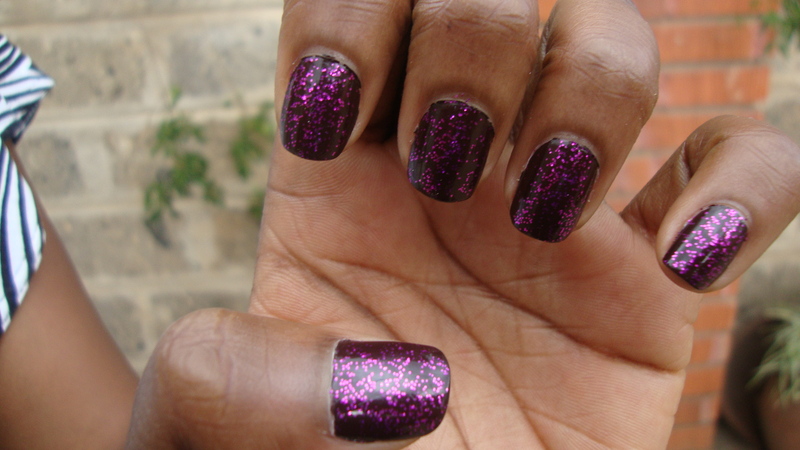 The shimmer is the same purple one above on my sis Jackie’s nails. 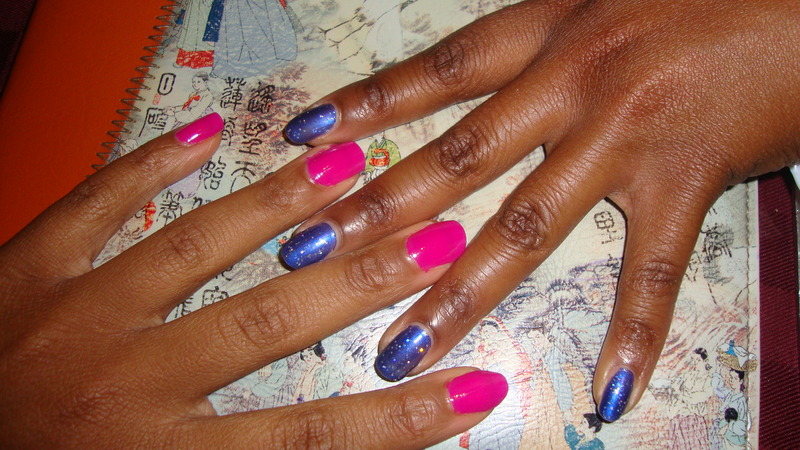 My nails (in pink) and my cousin Stephanie’s nails (blue and silver shimmer). Her nails look so nice! I’m so copying that one Steph ;-). The polish on her nails is by Luron, and mine is a brand from Malaysia. Can’t remember the name. The polish was cheap but I loved the colour and couldn’t resist! My sis Jackie’s nails right now. This is Luron as well. 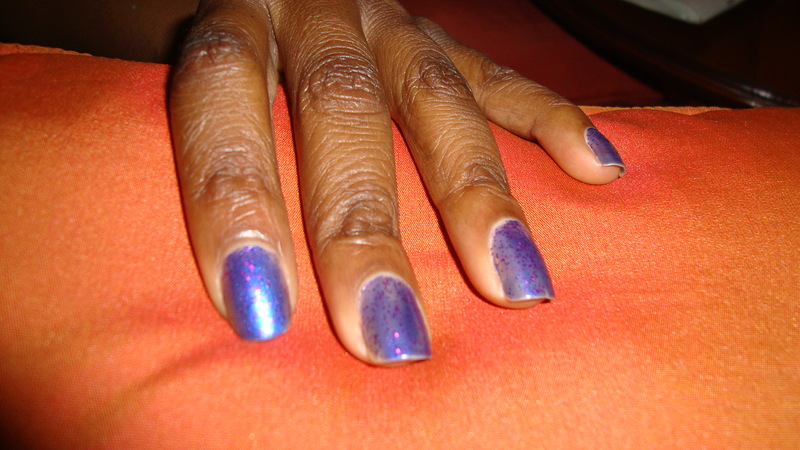 Blue and purple shimmer. Love how the shimmer changes the whole appearance of the polish! This is a brand from Malaysia as well, gift from my sis Angie. Steph used a silver shimmer polish by Luron. My polish is all Luron. I have on purple polish on all fingers except the ring fingers on both hands. On my left ring finger is my attempt at marble nail art, which came out a little substandard but okay. Will do better next time. On my right ring finger was also an attempt at water marble nail art, but covered it coz it looked worse than on the left, so I covered it with purple shimmer. I need to perfect water marble nail art! Watch this space :-). Like my PAGE on Facebook if you haven’t already!